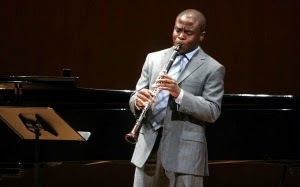 Clarinetist Anthony McGill has been appointed as the first African American principal of the New York Philharmonic. The great clarinetist Anthony McGill has made history by becoming the first African-American principal, or section leader, in the New York Philharmonic, effective this fall. His appointment is among several changes at the symphony reported this morning by The New York Times.